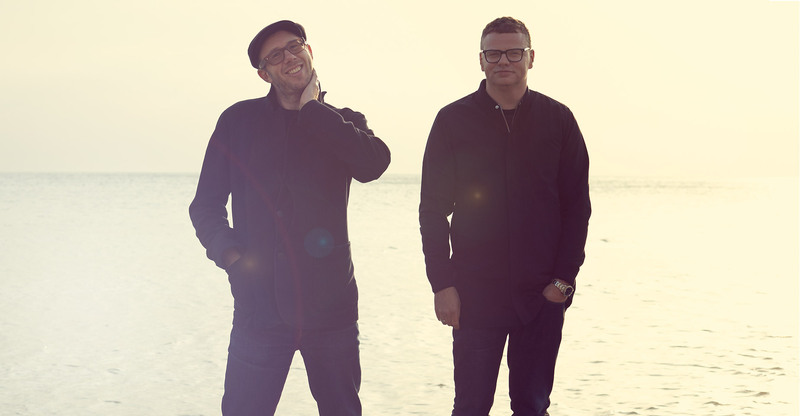 The Chemical Brothers' new album, No Geography, is out 12 April 2019. Tom, what do you wish you had known when you first started making music? I think when you start making music, you don’t really have a choice what you make. You’re like, “I can only do it this way because this is the only thing I can do. I don’t have the skills or the knowledge of what I’m doing to have a choice about how these drums should sound or what this bassline should be. This is just what comes out of me.” Maybe that’s the kind of mid-point of your trajectory. Then you learn that skill and craft can sometimes be overrated! Especially with electronic music, it’s so easy to make technically good sounding music that is just very boring. Ron Hardy’s “Sensation,” for example, has an amazing naïve sound in that he sounds like he doesn’t know what he’s doing but he really does. Right! You realize that that skill is not as exciting as the instinctual thing that you have about making music. Sometimes that can get in the way. So with Ron Hardy edits, that’s music that is just stripped to its core! It’s rudimentary in its execution but the sophistication comes from the experience of the person who’s made it. So there is a certain charm to a naïve sound? Sure, it might sound basic to some ears but you then realize that it has got some sort of magic in that approach, it’s so unique. It’s just this identifiable thing that can only come out of the person who made it, really. And that’s why those sort of records are very hard to imitate because the person making it has a very specific set of references and a set of preferences that go into the music they make. We have always had our approach to what a record should sound like… And from the start, it always was a bit different to the people in the same kind of scene as ours. We had this idea that we were putting together this very specific set of things that we loved in other records, we loved the feeling of listening to My Bloody Valentine but also loving Public Enemy: these two unique worlds that seem so far apart could actually live together. In the early days, we’d get booked to play techno at the end of big rock or indie festivals and people would either be like, “Well, this is not what I came to this festival for.” And you’d sense that! It was also quite a spurring on to make it even madder and more deranged. Or sometimes we’d be playing at straight up techno raves and then some of our music was really influenced by psychedelic rock. I think a lot of time in the studio can be spent sanding down pieces of wood to remove the rough edges and letting everyone see the work put into it. And on this record [No Geography], we wanted to embrace spontaneity and instinctive feeling. Sometimes though, to get something that sounds instinctive and spontaneous and fresh takes a lot of work. It could potentially be counterintuitive as well because your idea of a natural spontaneous sound becomes laboured the more you think about it. (Laughs) Yes! There’s a sweet intersection somewhere… Because if you go in with that feeling of, “We’re just going to let it all go” kind of thing, it could just be rubbish. But for us, it’s exciting. It takes me back to a time when we first started making music where we were very resistant to the correct way. We’d go into the studio and there would be an engineer there and they’d say, “Oh now, that’s not how we EQ a bass drum, that’s not how we…” And we were like, “Oh.” They’d try and force you into the more correct way of doing something. But instead we’d just find your own way of doing it even if it wasn’t perfect. That’s sort of how auto-tune is used now: over-perfecting the pop sound to the point that everything is just a bit sterile. Auto-tune was designed to aide singers to tune various notes but the way it is being abused now is in itself a creative thing, isn’t it? People are very conditioned to hearing voices that are totally in tune, you know, it’s quite shocking if you listen to older records because they rejoice in their out of tune-ness. I don’t mind if an Ian Curtis Joy Division vocal is a bit off tune. These days someone might be thinking, “Oh, should we just pitch that a bit better?” No! We shouldn’t! But there is definitely a limit to how imperfect something can sound. Would you say there is an art to making wrong sound right? (Laughs) Yeah, of course. For example, we used to play certain records together in our DJ sets and other people would tell us that it was wrong but for us, it was very right. A lot of DJs focus on the kind of smooth flow of kind of functional tracks, which is a brilliant skill — but we were listening to DJs who would play an acid house record and keep that going and then change everything completely by throwing in a hip hop record or something. And it would be that jolt! And when we were on the bus on the way home after a night, those are the moments that we would remember. What I think is most exciting was just being lucky to be on the dancefloor and hear those records for the first time. That kind of feeling lives with you. Do you still get that feeling these days, or do you think you’ll have it again in the future? Lots of people making interesting music but I don’t think I’ve had that sort of jolt since, or that feeling of excitement that it keeps a well of inspiration in you. That feeling of what it felt like to hear those records for the first time is something that you can keep drawing on. It was a shift in culture at the time as well, it’s a long time ago! 30 years. It was demented music! And it was an incredibly profound change in my reimagining of what music could be.